There’s a reason why YouTube’s “trending” icon is a flame. Influence on the $100 billion video sharing site grows uncontested, spreads to whatever is closest to it and can destroy whatever it feeds on. For years now, a certain brand of pundit has flourished on YouTube by peddling videos that purport to fly in the face of mainstream liberal media narratives. Audiences tune in to these politically potent internet celebrities for riling takedowns of feminism, affirmative action, taxes on the rich or whatever’s hot that day. In a new Data & Society report, researcher Rebecca Lewis names this class of YouTuber “alternative influencers,” and argues that their rise is due, in great part, to YouTube incentivizing the creation of edgy, and sometimes shocking content. Cecilia D’Anastasio: How would you describe the alternative influence network? Rebecca Lewis: The network is a loose connection of scholars, media pundits, and internet celebrities who broadcast on YouTube. They embody a range of political positions and ideologies, but they are united by a common rejection of progressive social justice movements and of the mainstream media. D’Anastasio: How does this network influence the mainstream media? Lewis: One thing my co-author and I found [in our previous research, Media Manipulation and Disinformation Online] was …. this step ladder of amplification. A conspiracy theory—say, for example, about Hillary Clinton’s health—would run amok on 4chan and 8chan in the summer of 2016. Then the YouTuber Paul Joseph Watson (who is affiliated with InfoWars, although his YouTube account has not been taken down) amplified those conspiracy theories. When, a few weeks later, she did get sick at a rally, the media was primed to fit into these narratives they’d already shaped. I got really interested in the role influencers like Paul Joseph Watson were playing in this ecosystem. What I found was this entire network connected through the YouTube algorithm and through their own collaborations, seeking to take down and replace mainstream media. This network had a lot of roots in GamerGate. D’Anastasio: Can you explain how? Lewis: There were several different historical threads that led to the growth of this network I was looking at. GamerGate was one of them. The main thing I found when looking at this network and attempting to trace its history was several of them got their start broadcasting during GamerGate. On YouTube, there will be news cycles that sometimes reflect the news cycles happening in the mainstream news and sometimes are independent. And just as with the mainstream media, a lot of this is dependent on viewership and monetization. So if one influencer makes a video on a topic and it gets a lot of traction, more YouTubers are likely to comment on that topic and react to it. This practice is also baked into YouTube culture more broadly - think of viral videos and all of the responses and spin-off videos they create. Audience reception and engagement drive the hype cycle on YouTube. This is particularly worrisome when the most popular topics are about harassing an individual or a group. GamerGate was an early instance of that. It was a focal point, an event, and people started making content about it. It’s tough to ascertain motives, but almost certainly there was a mix of people genuinely having interest in the topic and also knowing it was likely to generate views. D’Anastasio: In your report, you mention that Sargon of Akkad built his following based on his videos about feminism in gaming. Now, he calls himself a “classical liberal” and talks about identity politics, the alt-right and is anti-progressive. He criticizes Black Lives Matter, the #MeToo movement and other mainstream topics in progressive politics. How did he move into the alt-right arena? Lewis: Pretty early on, he began making content targeting feminism and more often than not targeting [Feminist Frequency critic] Anita Sarkeesian who was a big target in GamerGate related activities. He was one of the staples of this early anti-feminist content and over time, that emerged as a distinct genre on YouTube: Anti-SJW content. The “response” video is a big example of that, where they will play a clip from a popular social justice YouTuber account or a mainstream celebrity devoted to social justice and then they will respond to it in their own content, making fun of it, being derisive. His relationship to the alt right is really complicated. When he engages with the alt-right, he is more often than not debating them. He positions himself as a centrist between two extremes. He rejects identity politics of any kind. He alludes that white nationalism and white supremacy are identity politics for white people. That is a false equivalency in and of itself. One form of identity politics is focusing on oppression and the other is focusing on maintaining power but that’s his take on it. D’Anastasio: Like you say in the report, full-time YouTubers obviously have to be constantly pumping out content, and especially content they know will be broadly appealing or provocative. And a lot of time time today, we see that news cycles on YouTube often reference the same people and events. Was this a model that existed prior to GamerGate or was it just then forming? Lewis: A lot of what these influencers were doing is following the basic structure of influencer culture on YouTube. Influencer culture wasn’t as fully blossomed [in 2014]. It hadn’t fully emerged by then, but it was well underway. From the first couple of years in, for many years now, YouTube has been marketing itself as a place where people can broadcast themselves and they’ve marketed it as a place where people can have their own voice. 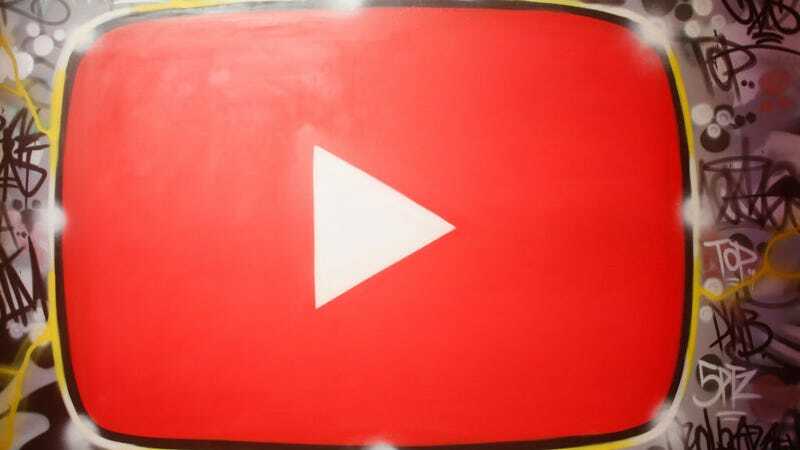 YouTube’s own marketing has framed it as a counter to mainstream culture and mainstream media, whether it’s news or entertainment. There have been possibilities for monetization since early on. People have long been able to foray fame into monetization. They were following an emerging trend that was underway. On the other hand, GamerGate was a significant event and it helped grow the audience of many people. D’Anastasio: In your report, you note that some of today’s alternative influencer network on YouTube—Sargon of Akkad, Dave Rubin of The Rubin Report, etc.—owes something to the GamerGate movement and how GamerGaters talked about what they were doing. Can you elaborate? Lewis: [Gamergate] was a moment in time when people were willing to work together across subcultures to obtain a mutually beneficial goal. You saw gamers working with trolls who worked together with men’s rights activists. They were each distinct subcultures but they had the common thread of being anti-feminist, willing to attack feminists in that moment. That willingness to work across subcultures and lines has carried over into the media manipulation efforts in this alternative influence network. There are people with a really wide range of ideologies in this network. There are people who call themselves white nationalists, people who call themselves libertarians, and people who are what they call “classical liberals.” But they all have a common thread of being anti-progressive social justice, anti-SJW, which is itself a really vague and malleable term that also is an older term that first gained widespread traction during GamerGate. You see this common thread that ties together these really disparate groups and they form these symbiotic relationships around their shared opposition essentially. D’Anastasio: How does the way YouTube works as a platform impact the sort of content full-time YouTubers make on it, and especially YouTubers in the alternative political sphere? What it sounds like is that, to get more views, YouTubers need to be peddling increasingly extreme and engaging content to stay relevant and exciting. Lewis: Absolutely. One instance we can see clearly in this research is that while we talk about how influencers can radicalize audiences, the opposite can happen too. When influencers dip their toe into creating this type of content, their audiences might let them know they want more of this content or more extreme content. Then they have a direct monetary incentive to create more extreme content. It’s hard to parse individual motivations, but we can see a broader feedback loop emerge where audiences demand more extreme content from creators, creators create more extreme content, court more radicalized audiences, who demand more extreme content and it becomes a dangerous feedback loop. In some ways they, have figured out how to game the platform, but in another sense, they’re using it as it was intended to be used, which I think is troubling. D’Anastasio: You talk in your report about how a lot of YouTubers who fall under this “alternative influencer” category will make videos in response to perceived attacks against them, which generate more views. I saw that you received some significant harassment after putting out your report, in part because the report was put on blast by some of the named YouTubers in new videos, like Sargon of Akkad. What are your feelings about the response to your report? Lewis: The attention and subsequent harassment is one symptom of a larger problem. A lot of people have, understandably, been focusing on the network graph I included in the report. But that graph, while illustrative, is not actually the point of the report. One of the main reasons why I wanted to do this research is to open the hood on YouTube’s business model and how these influencers profit from it. YouTube is an important source of information, but as a platform, they are getting a free pass when it comes to accountability. D’Anastasio: To what extent does this affect real life politics or interpersonal relationships? Is this all just online? Lewis: I think it’s important to do more research into to what extent this network shapes broader public discourse. If its shaping the views of viewers and influencers, then that is reality. The idea that any of this can exist purely online, I think, is a fallacy. We saw that with other communities leading up to the 2016 election as well—there was a lot of reporting that happened then about 4chan and 8chan and trolling culture, and people dismissing it as online ridiculousness. What we found was that this can feed into real-world issues of racism and sexism in tangible ways. I think you have the same thing here. None of this exists purely online. Its real people making and viewing the content. Real people are viewing it. We need to treat it like a real issue.